Mitch has been a grain farmer for 13 years and is involved in operating a 8500 ha mixed farming family enterprise involving cropping, livestock and an earthmoving business on farms in Hyden and the Lake King district of Western Australia. Mitch is interested in the move to large scale expansion and how this can best be managed whilst dealing with the problems of climate variability and the day to day business. Nick is a member of a family farming operation in Williams WA, farming 5000 ha with 80 per cent continuous cropping and the remaining, pastures for livestock. Through the use of online farm decision making software, Nick has been able to assess not just the most profitable crop in any given year but the most profitable rotation. He is keen to see the use of data and related technology drive forward the grains industry to greater profitability and efficiency. Tess is the Eyre Peninsula Representative for FREE Eyre Limited, based in Streaky Bay and specialises in grain marketing strategy and broking. Tess is keen to develop her leadership abilities through the course to benefit the 475 Eyre Peninsula farmers who are sponsoring her participation. 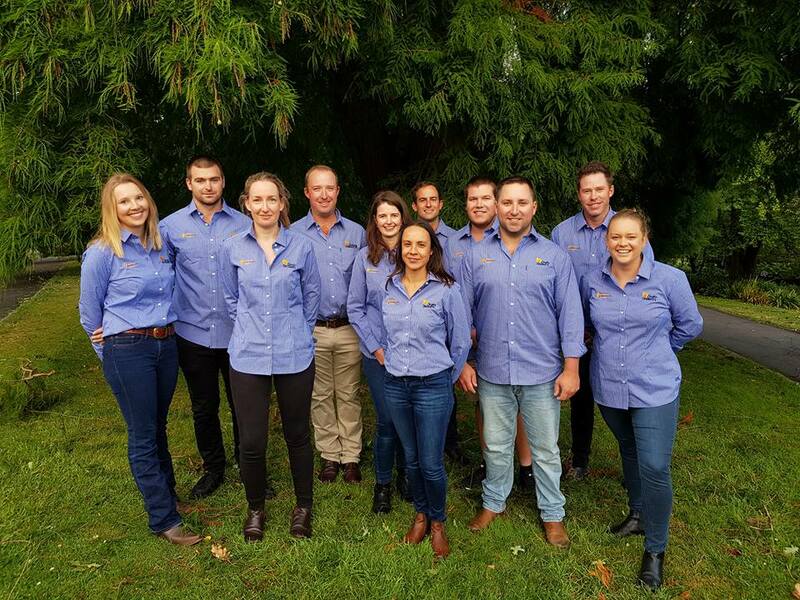 Tess is focused on developing and executing a grower engagement strategy for FREE Eyre shareholders, and hopes to return some grassroots value to members. Veronica has worked in financial planning for more than 10 years. She and her husband Rob run the family farm at Dairy Plains in northern Tasmania. The Terrys have structured their business to service the feed needs of the local dairy industry prominent in the area and grow wheat, barley, linseed, sunflower seed, hybrid canola seed and potatoes. Veronica is investigating why agricultural investments are not easily accessible for everyday Australian investors. Veronica is also keen to look at how to utilise parts of the farm that are not conducive to grain production, either to promote biodiversity and natives or a commercially viable crop. Henry is a farm manager in the family business in central west New South Wales. He is focused on how grain farmers can adapt with enhanced flexibility and resilience to a more variable climate in the next decade. A fourth generation grain farmer running a 4050 ha operation at Kimba, SA, Symon has worked successfully to expand the business while reducing debt. He is keen to see the grains sector generally become more focused on profit margins, examining, for example, the opportunities for alternative markets and transport options. A grain accumulator with Davis Grain Pty Ltd on behalf of AWB. Davis Grain also accumulates grain for three GrainFlow sites within the Mid North and Yorke Peninsula of South Australia. Nick is relatively new to the grains industry but since joining has really enjoyed his role and is keen to become more involved within industry and learn more. After spending time in the United States examining the grains industry there, Nick believes Australian growers can become better at managing risk when selling grain, through offering different marketing products. Amery has been a grain farmer for more than five years on the family farm at Northampton WA. He seeks to broaden his knowledge of the grains industry and use that knowledge to improve the farm’s efficiency and productivity while making a difference to the industry as a whole. He has experimented with super absorbent polymers on farm for greater yield and water use efficiency. Kathryn is Executive Officer for the Mingenew Irwin Group, having previously managed a broadacre cropping property in Morawa. She is also involved in the family’s mixed cropping and sheep farm in the south of WA, providing agronomic advice when required. She seeks to continue farming in the future, either as a grain grower or in other ways that allow involvement in farming enterprises. She is keen to focus on ways to see the industry have a sustainable future. Formerly a Domestic Grain Merchant with AGT Foods Australia, Millie is now working on the family farm at Jandowae where the business has been trialling canola. Millie is interested in exploring ways to ensure younger generations are given the opportunity to remain either on farm or within the industry, and how connectivity can improve traceability within the value chain to ensure Australia captures and retains overseas markets. © 2019 Innovation Generation. All Rights Reserved.